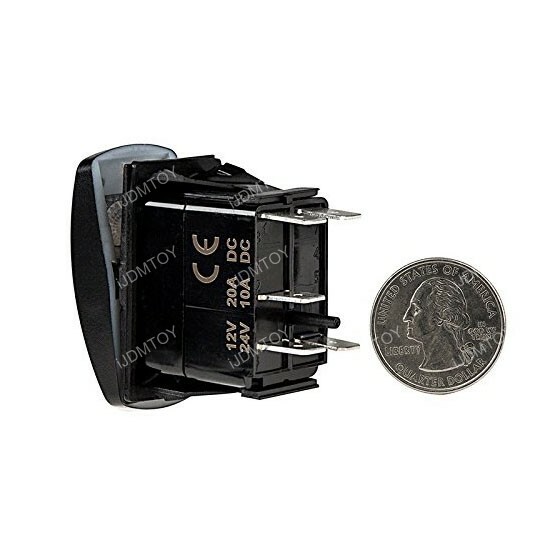 Q: What is 5-pin SPST? 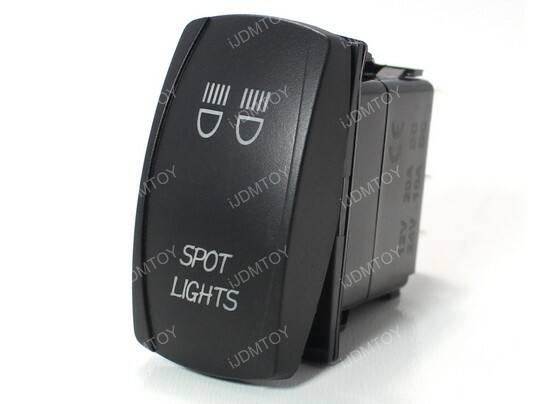 A: SPST stands for Single Pole Single Throw, meaning when the SPST is closed, the circuit is open and light from the lamp switches on. 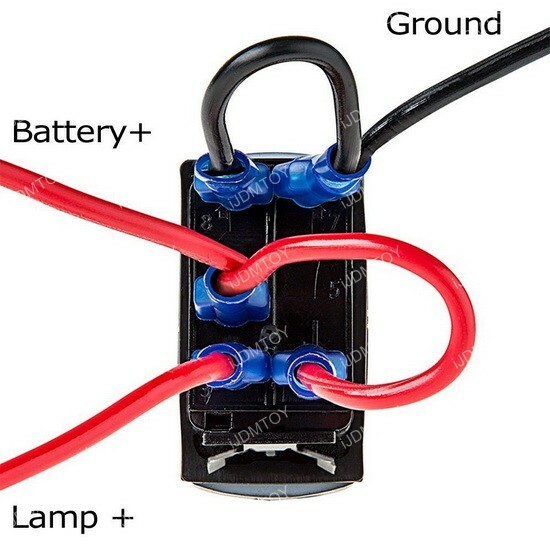 When the SPST is then opened, the light from the lamp goes out and the circuit is off. 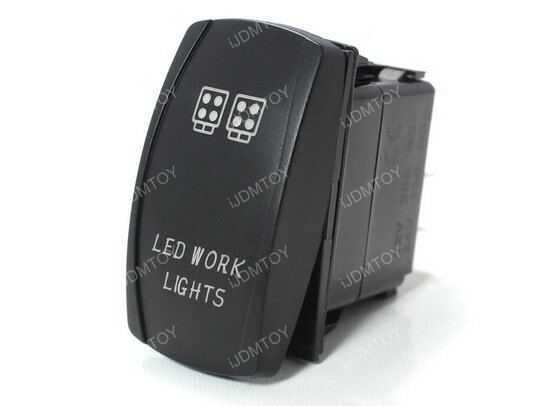 Q: Where can I use these switches? 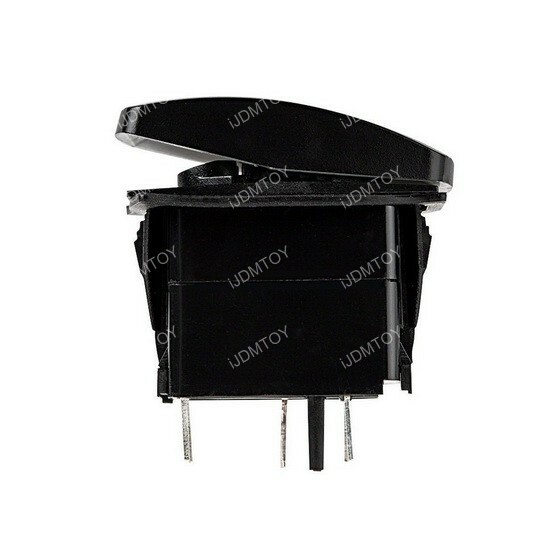 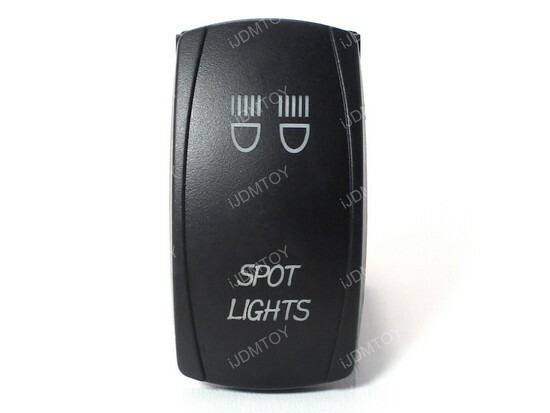 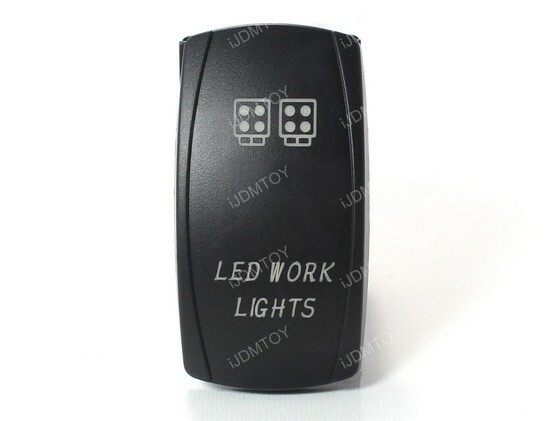 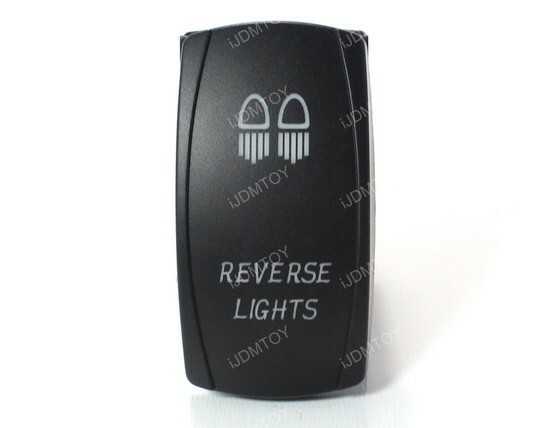 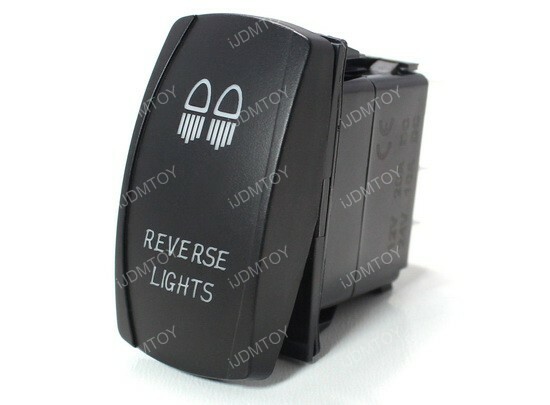 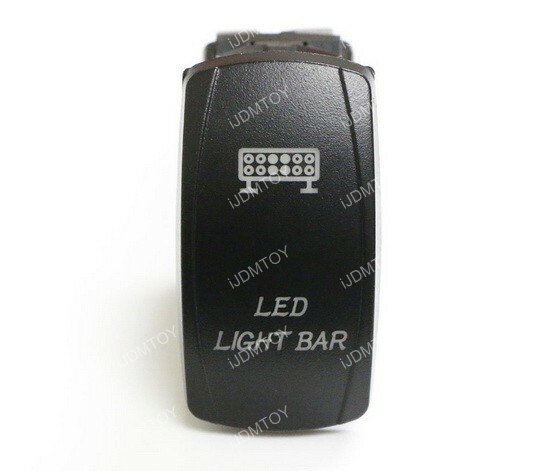 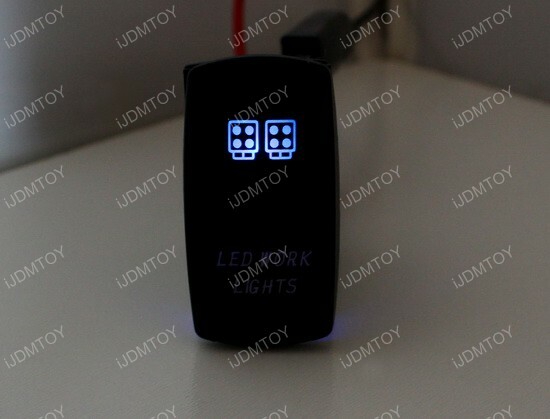 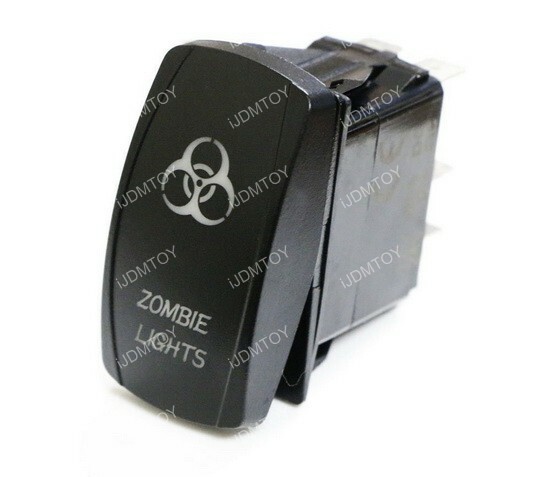 A: You can use these switches for many applications such as LED daytime running lights, LED work light, LED light bar, fog lights, etc. 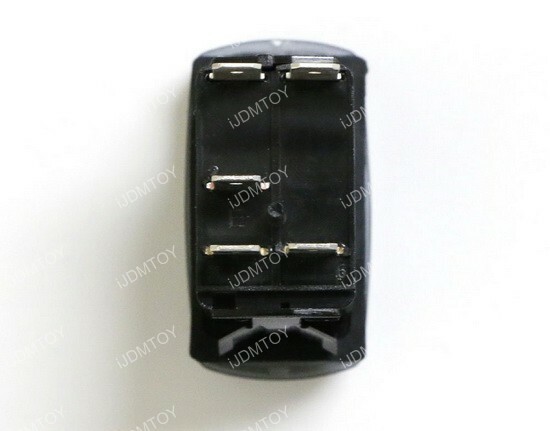 Q: How can I install this 5-pin SPST switch? 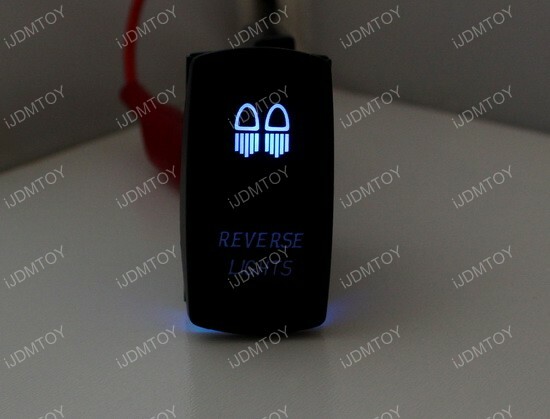 A: Please follow this diagram for the installation. 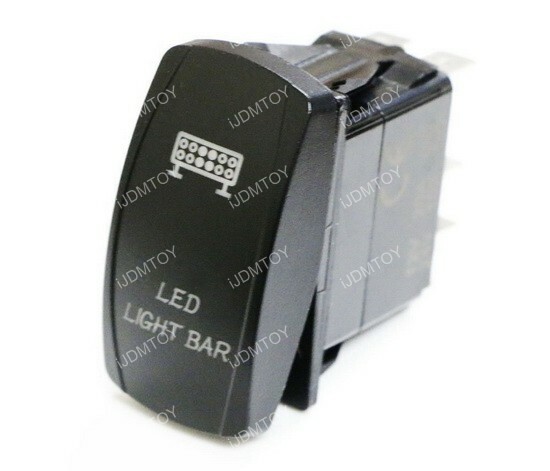 This page features one single pole single throw (SPST) ON/OFF rectangular rocker switch. 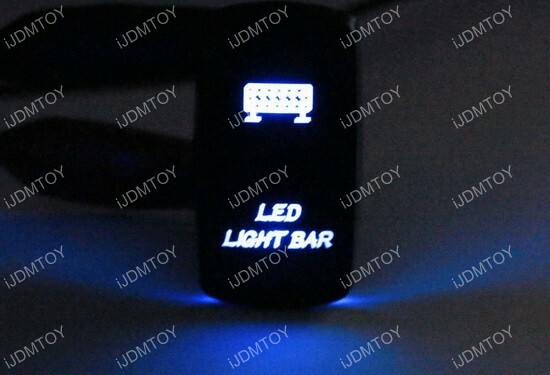 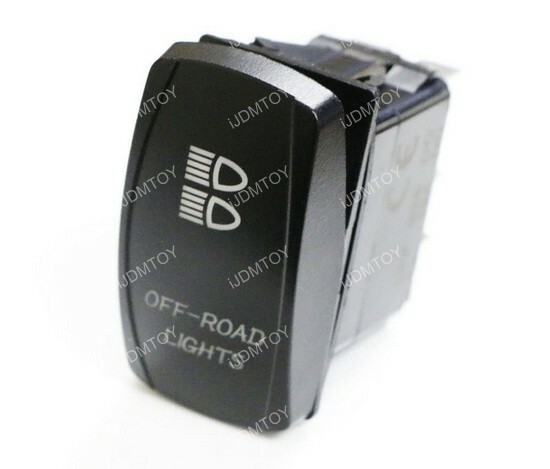 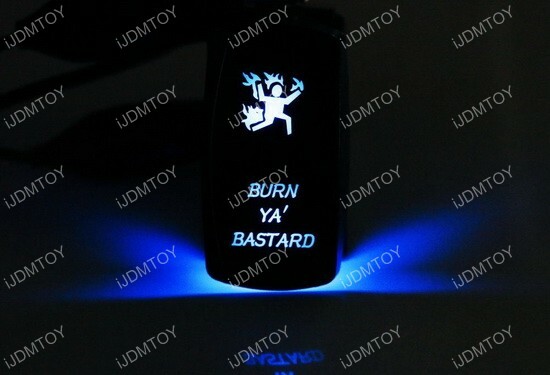 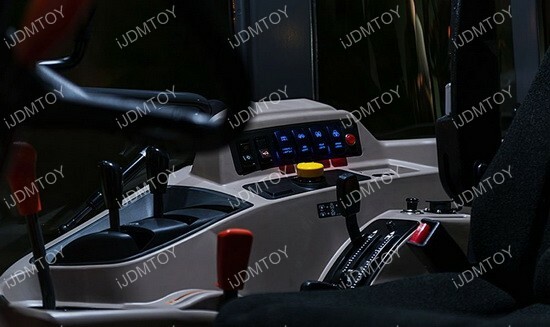 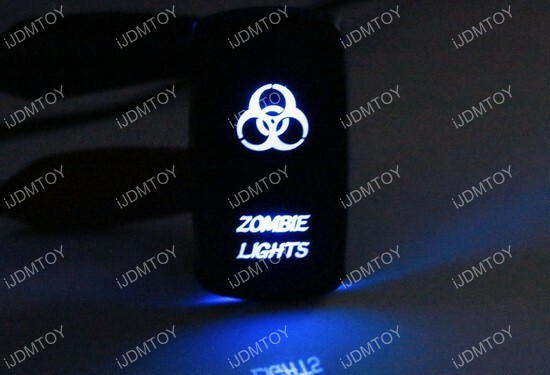 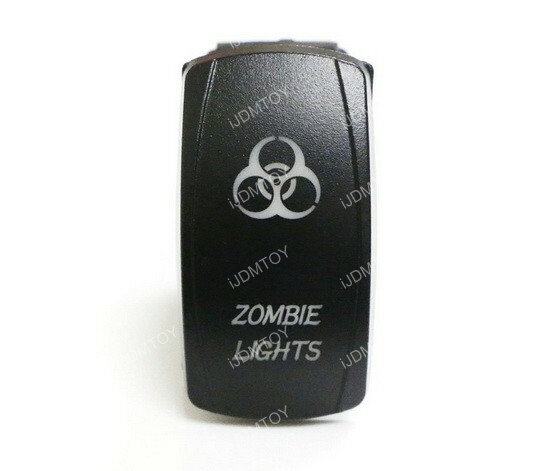 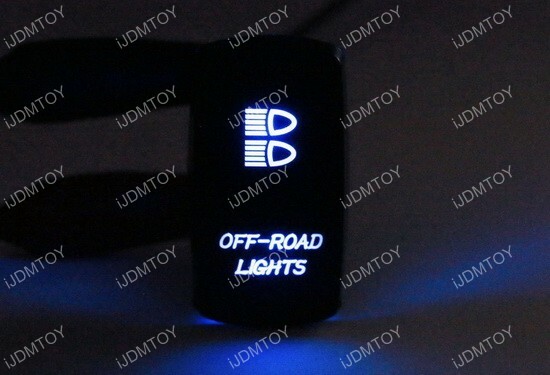 It comes with 2 independently controlled blue LED indicator lights, lower LED illuminates text when vehicle is on for visibility, upper LED illuminates the legend when pressed ON. 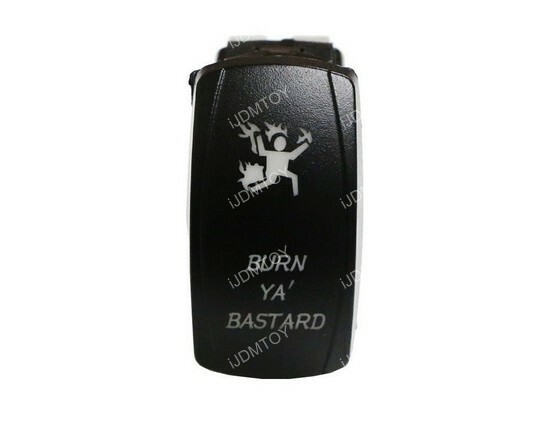 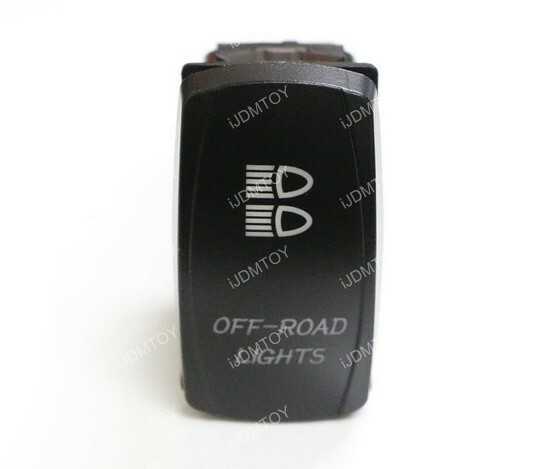 This 5-pin ON/OFF rocker switch is watertight sealed designed for severe and demanding applications found in truck, SUV, off-road vehicles, industrial equipment, heavy equipment, marine, boat and more.